At its most simple, inbound sales is a method of selling that puts the customer and their needs first. It is a form of consultative sales that leverages interest and demand built through inbound marketing activity. 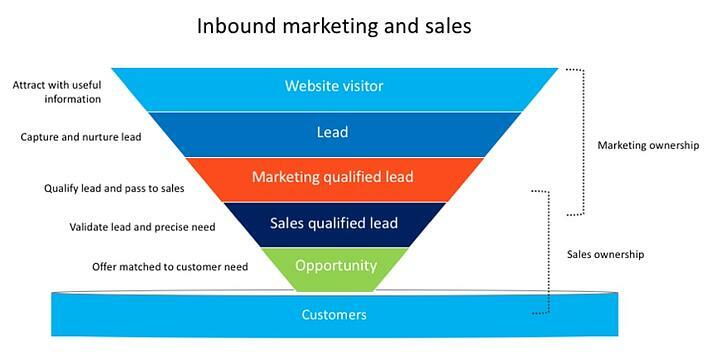 Inbound sales and marketing is the most integrated form of demand generation and conversion. Coined ‘Smarketing’ in recognition of the high level of integration and alignment, it works by helping the right customer to make the right choice to solve their individual problem or need. So, before we dig deep, let’s recap on the integrated inbound process. First up, marketing efforts at the start of the buyer’s journey are focused on helping the customer to answer their problem or meet their need. This activity is not at all ‘salesy’. It is positioning the brand as a helpful source of information in the minds of the target customer, thus capturing the lead. 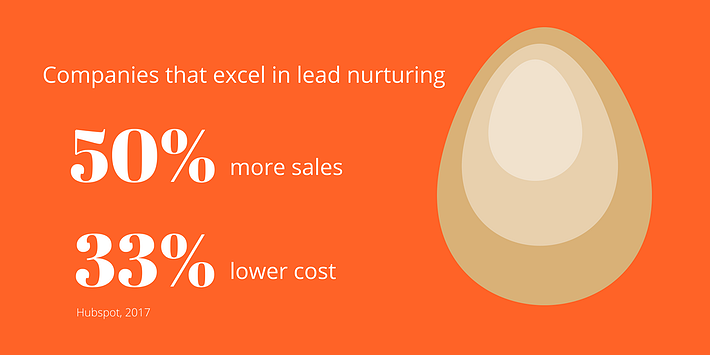 Once the lead is captured, we want to nurture the lead to a state of purchase readiness. Lead nurturing provides further useful and relevant information that transitions the customer progressively closer to the right solution for them. Remember, we are solving problems not hard-selling. Lead scoring is used to estimate the readiness of the potential customer to purchase. Once the lead is qualified, ownership by the sales team begins. The role of sales within the total inbound marketing and sales approach is to refine customer understanding, qualify the lead and provide a best matched solution. Make no mistake, the skills of influence that the best sales people possess are still required. But they are applied selectively based on customer needs, purchase readiness and best fit solutions. The state of mind is ‘I’m want to help this customer make the best decision’, rather than to simply sell a product or service. The first step taken by sales in the inbound process is to validate the marketing qualified lead. Once validated, the lead is now a sales qualified lead. The next step is to form an accurate understanding of customer needs. • Is the customer right for your business? • Do we have an offer that will suit them? • Is this an opportunity for now, or a bit later? Or perhaps, the sales person’s time is best spent on other opportunities. The interest shown at this point serves to reinforce the emotional engagement the customer has developed with the business earlier in the lead nurturing phase. We want the customer to appreciate the interest the business is taking in the customer. Congratulations - Now the lead is fully qualified as an opportunity, it’s time to provide the solution and progress to offer. Lets work on articulating the specific benefits of the solution and the competitive advantages because we are now moving towards the close. The result is higher levels of sales conversion than traditional sales practices. 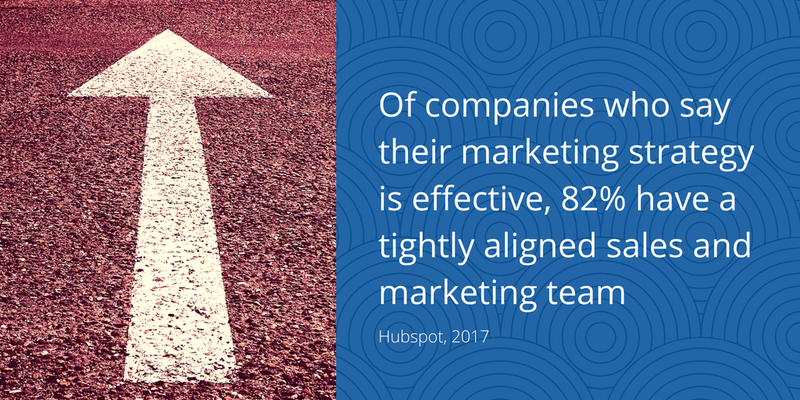 Central to the total success of the inbound marketing and sales approach is the level of alignment and collaboration between sales and marketing teams. Marketing is accountable for the development of the right quantity and quality of marketing qualified leads. Of course, both lead quantity, and lead quality, play a role in creating the conditions for the desired level of sales to occur. By recognising this, sales teams now have a real stake in helping the marketing team to refine their approach to lead generation and qualification. And marketing has every incentive to ensure they manage a process that is well informed and highly engaged with the sales team needs and challenges. Sales are accountable for the quality of lead management, the rate of sales conversion from sales qualified lead and the final sales outcome. While sales own the customer, both sales and marketing share accountability for customer satisfaction, retention and lifetime value. Technology can offer dramatic increases in both the effectiveness and efficiency of the inbound approach. CRM systems have long been used as a method of helping sales people to efficiently manage their sales pipeline and existing customer management. However, the inbound approach is most effective when there is a single view of the customer from lead capture onwards. Many software and platform integrations exist to connect common CRM systems to marketing lead generation tools. For small to medium business, Hubspot can be used as a single platform for customer management, from lead all the way to customer retention and advocacy. Technology not only makes everything simpler to manage, it also provides a new level of measurement and management visibility over process and the return on investment. This can be the difference between success and failure though more sales, more profitable sales and higher levels of customer retention. If your business is involved in a high-engagement category or a high-value product or service, then the inbound approach should be high on the list of your business’ innovation programs. Every small and medium business I know doesn’t just want more sales leads and more sales. 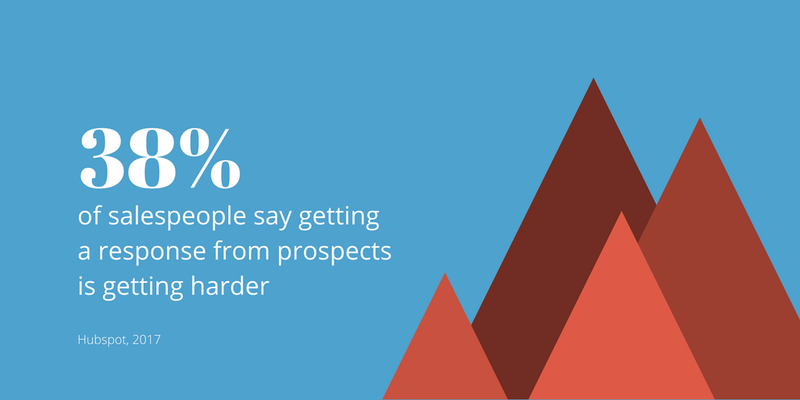 They want more of the right type of lead and a way of constantly improving their sales conversion. We know intuitively that the merits of the inbound approach are real. Yet commercial pressure and traditional practices keep amping up the pressure to sell anything to anyone now. By employing an integrated marketing and sales approach that develops the right quality of lead open the gate to a more customer centric way of doing business. Inbound sales is simply the best solution available today.